Abstract. The holistic study of soils requires an interdisciplinary approach involving biologists, chemists, geologists, and physicists, amongst others, something that has been true from the earliest days of the field. In more recent years this list has grown to include anthropologists, economists, engineers, medical professionals, military professionals, sociologists, and even artists. This approach has been strengthened and reinforced as current research continues to use experts trained in both soil science and related fields and by the wide array of issues impacting the world that require an in-depth understanding of soils. Of fundamental importance amongst these issues are biodiversity, biofuels/energy security, climate change, ecosystem services, food security, human health, land degradation, and water security, each representing a critical challenge for research. In order to establish a benchmark for the type of research that we seek to publish in each issue of SOIL, we have outlined the interdisciplinary nature of soil science research we are looking for. This includes a focus on the myriad ways soil science can be used to expand investigation into a more holistic and therefore richer approach to soil research. 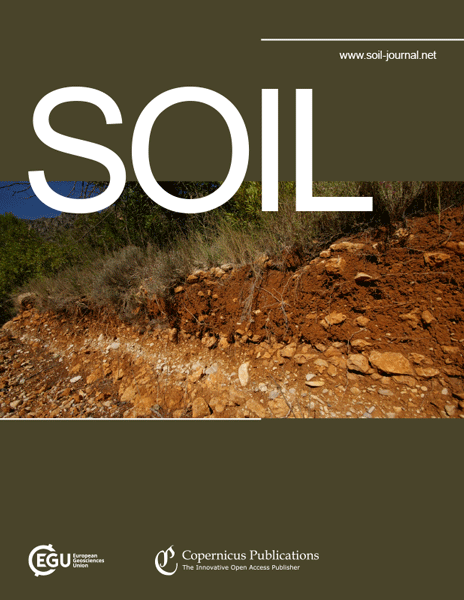 In addition, a selection of invited review papers are published in this first issue of SOIL that address the study of soils and the ways in which soil investigations are essential to other related fields. We hope that both this editorial and the papers in the first issue will serve as examples of the kinds of topics we would like to see published in SOIL and will stimulate excitement among our readers and authors to participate in this new venture. 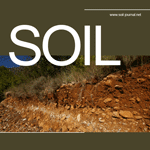 How to cite: Brevik, E. C., Cerdà, A., Mataix-Solera, J., Pereg, L., Quinton, J. N., Six, J., and Van Oost, K.: The interdisciplinary nature of SOIL, SOIL, 1, 117-129, https://doi.org/10.5194/soil-1-117-2015, 2015.